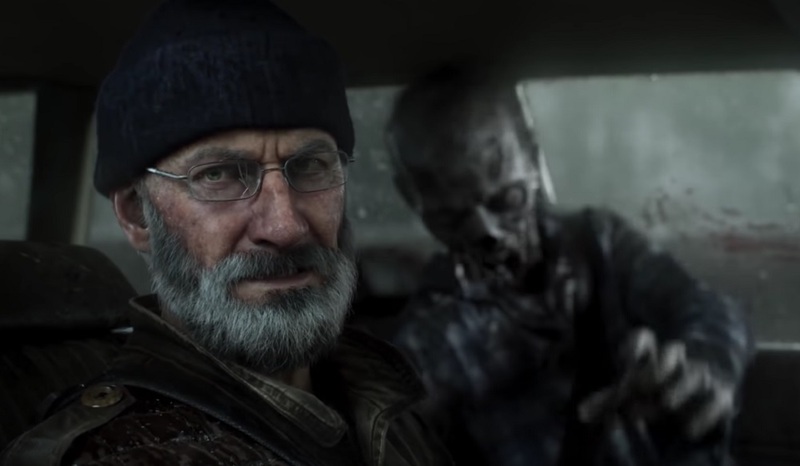 Another sombre trailer has been released by Starbreeze Studios, building the hype for in-development co-op shooter Overkill's The Walking Dead. Like the excellent Maya trailer last month, this short takes a look at one of the player protagonists; Grant. Grant is a somewhat older gentleman making his way through the Walker-filled world, seemingly on a mission to track down his lost grand-daughter. Though the zombie apocalypse can be a pretty barren place, Grant has at least found a pal to keep him company. Although not quite as well done as the Maya video, Grant is still an interesting and dramatic short, telling the story of a lifetime in a few relatable words. Here's hoping, unlike Dead Island before it, the intensity of these trailers transfer to the finished game, which is hoping to encourage teamwork, character skills and ingenuity as the key to player survival. Overkill's The Walking Dead launches on PS4, PC and Xbox One this Fall.